Can Gio Biosphere Reserve is a wetland located 40 km southeast of Ho Chi Minh City. This reserve has been listed the biosphere reserve by UNESCO. The site is an important wildlife sanctuary in Vietnam as it is characterized by a wetland biosystem dominated by mangrove and many rare species. The forest’s area is 75,740 ha, with over 150 botanical species. 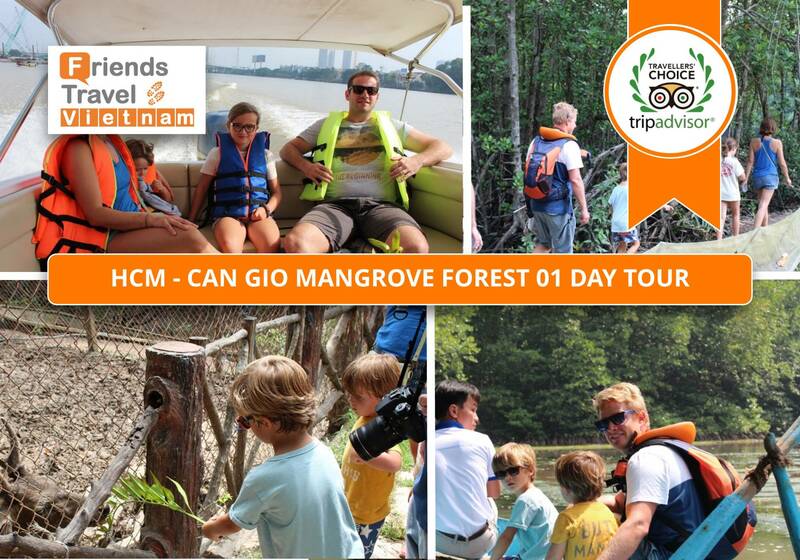 Let's see Can Gio Mangrove Forest! You will pick up at hotel in HCM by comfortable minivan to pier for luxury speedboat to Can Gio Mangrove Forest. Enjoy the light breakfast, fresh air and understand the daily life of local citizens living along the river banks. 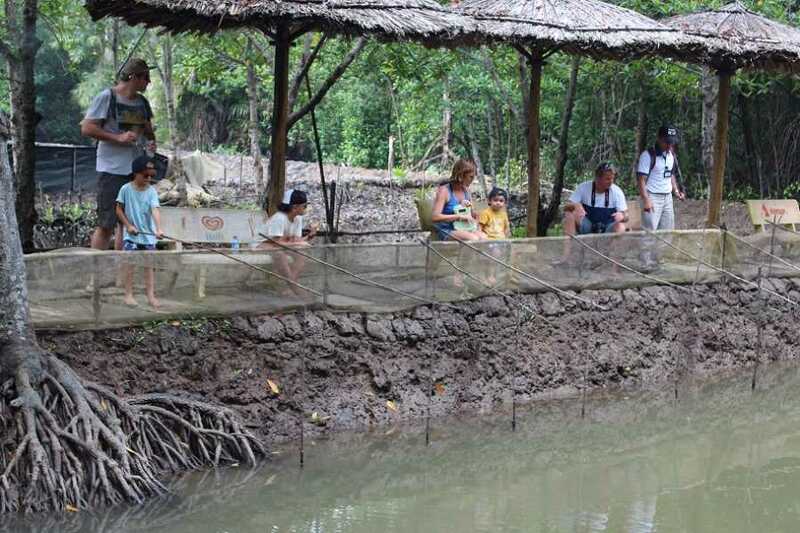 Learn about the flora typical of mangrove forests and the other types of seafoods at the local fishing hamlet. 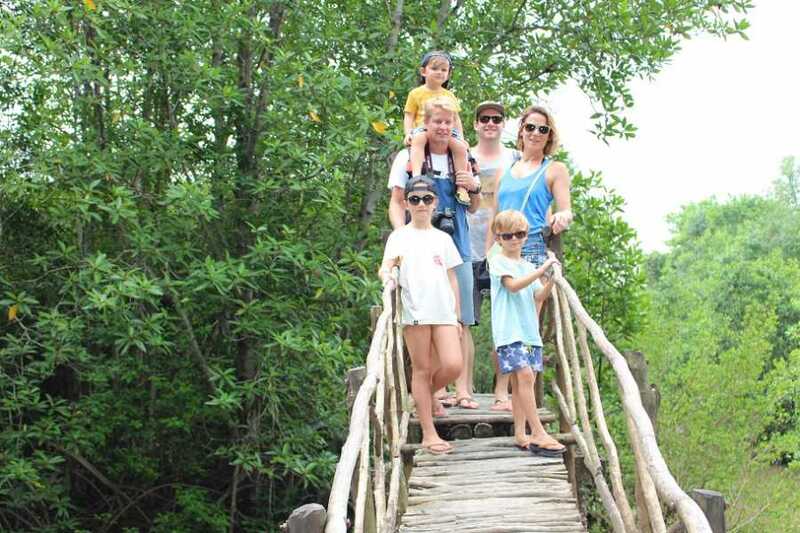 Visit the Reserve Bats Lagoon of the city, Row a small boat through the mangrove forest.Visit the crab pond and trying crab angling, explore the lives of crabs, how to chose the best crab. 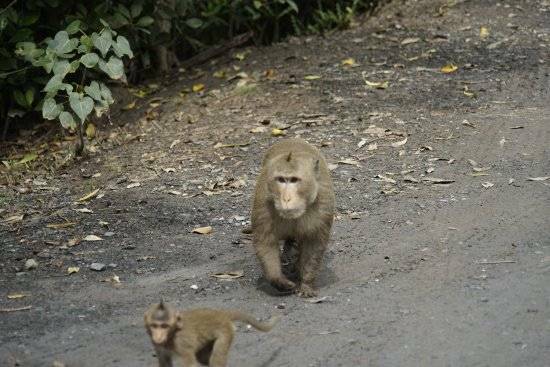 Walk along the road through the forest, challenge yourself with a suspension bridge, then visit the deer herd which are very playful, friendly to human, and you can feed them. Have lunch at Vam Sat Restaurant and relax in a coconut tree hut. 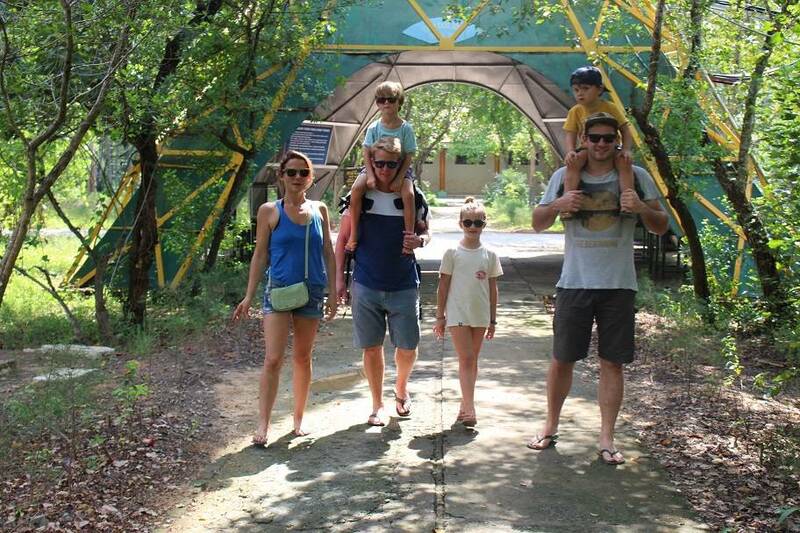 Visit the crocodile farm, Standing on the cruise boat for angling carnivorous crocodile. Observe wild monkeys’ daily life, Visit the area for bird conservation. 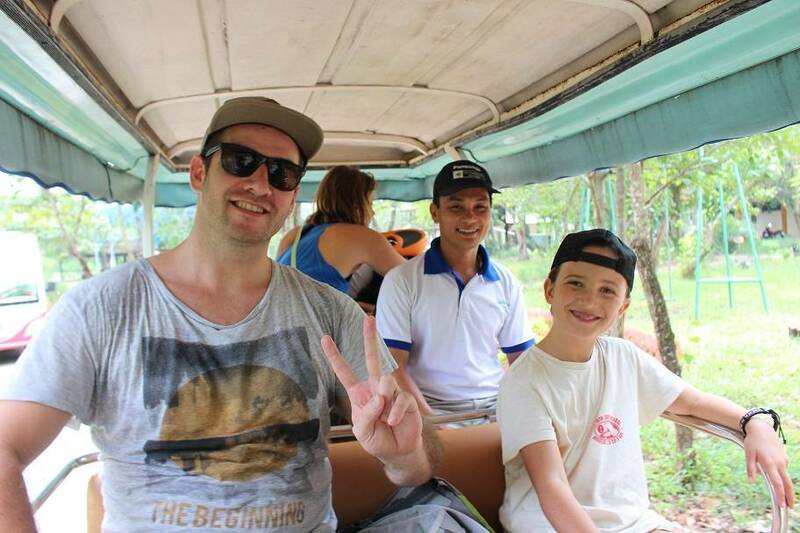 Finish Can Gio Mangrove Forest and head to Saigon. Arrive back to Saigon to be dropped off at your place of stay. Tour Length: Approximately 7 hours. Itinerary: Ho Chi Minh - Can Gio - Ho Chi Minh. Pick-up at the customers’ hotel and transfer to Tan Cang pier by Saigon River Tour’s comfortable minivan. 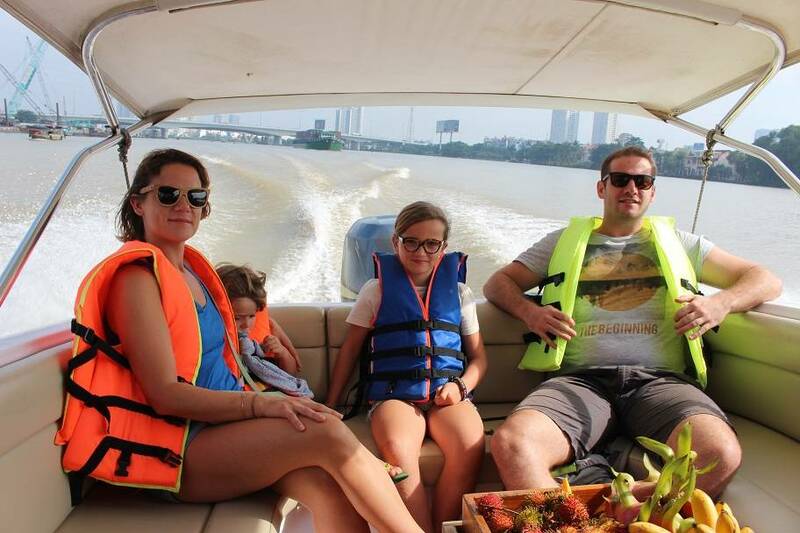 Depart to Can Gio Mangrove forest by luxury speedboat. When on board, enjoy a light breakfast of The Pat’ a Chou cake with Lavie water & seasonal fruits, enjoy the fresh air and understand the daily life of local citizens living along the river banks. Arrive to Can Gio Mangrove forest. 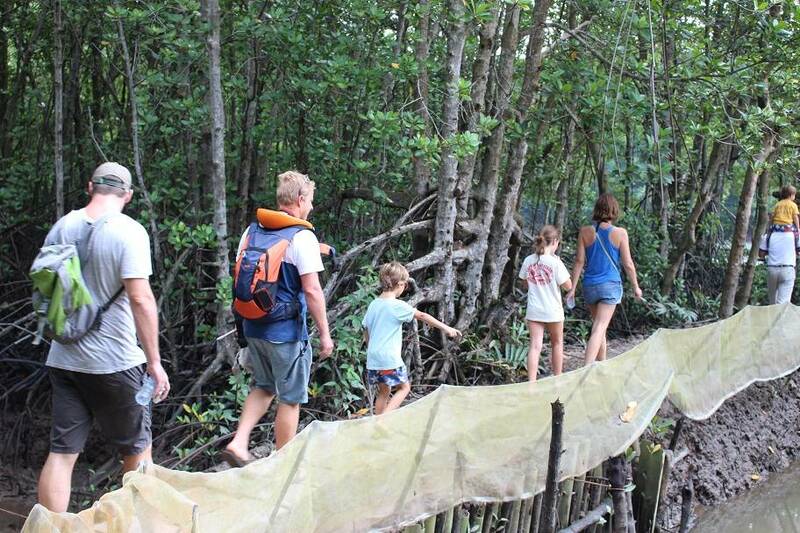 Learn about the flora typical of mangrove forests and the other types of seafoods at the local fishing hamlet. – Visit the Reserve Bats Lagoon of the city. 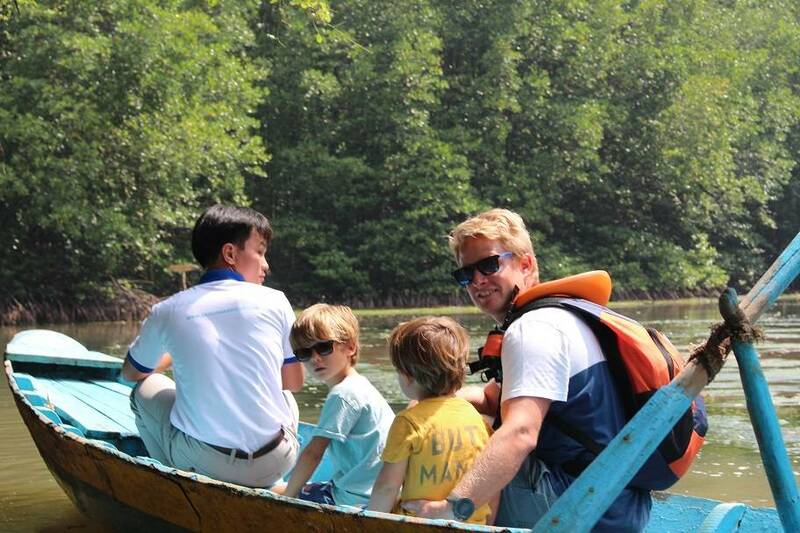 – Row a small boat through the mangrove forest. 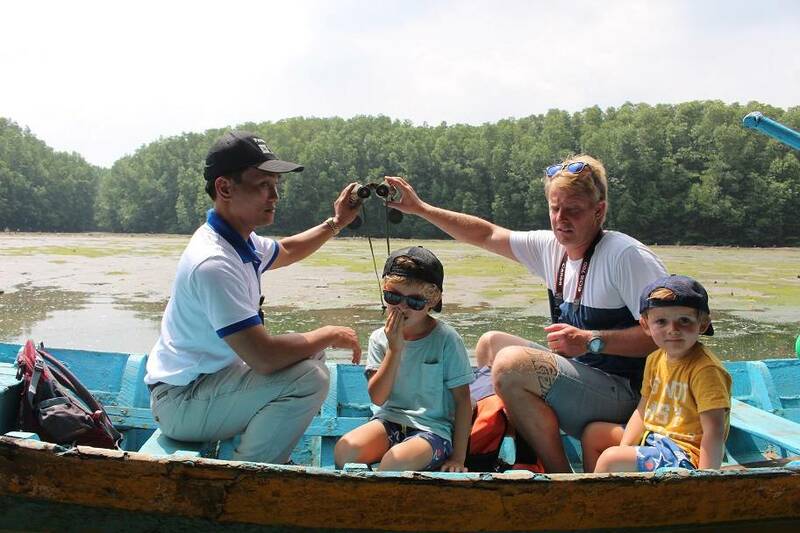 – Visit the crab pond and trying crab angling, explore the lives of crabs, how to chose the best crab. 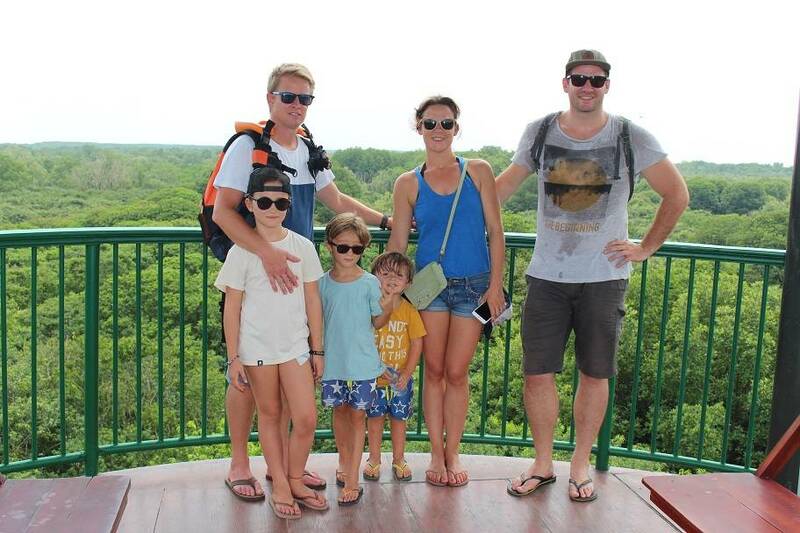 – Arrive to the center of Vam Sat to obserse immense panorama of Vam Sat mangrove forest from “Tang Bong” tower. 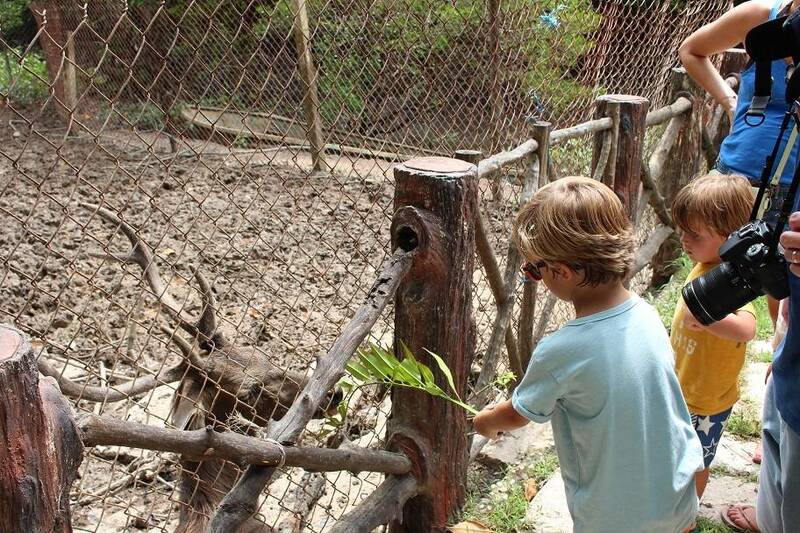 – Walk along the road through the forest, challenge yourself with a suspension bridge, then visit the deer herd which are very playful, friendly to human, and you can feed them. 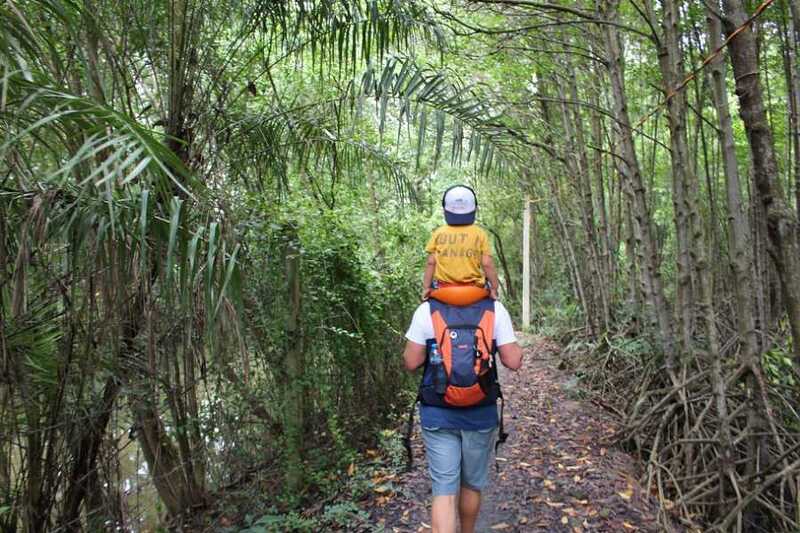 Finish Can Gio Mangrove Forest and head to Saigon. Arrive back to Saigon to be dropped off at your place of stay.